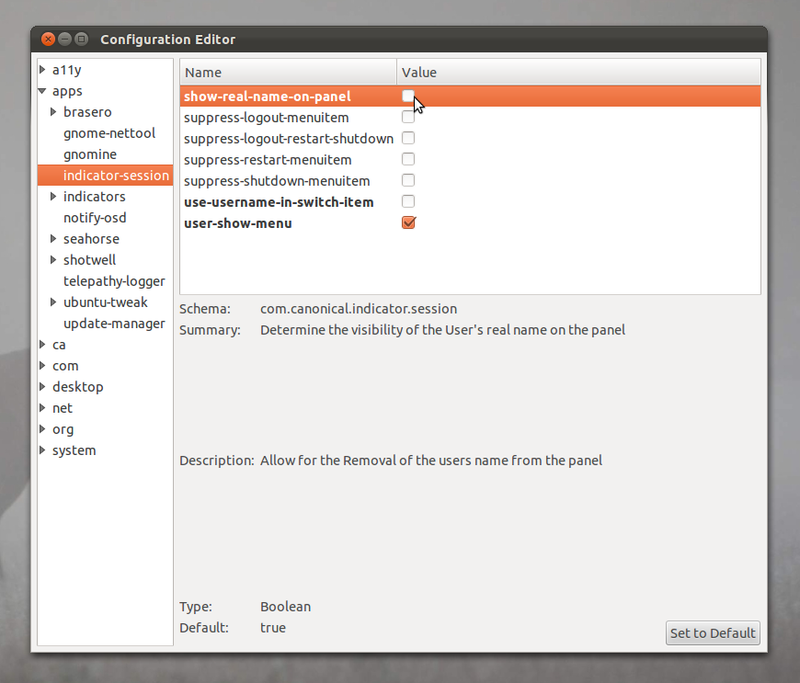 In Ubuntu Oneiric, the full name of the currently logged in user is displayed at the right side of the top panel by default, similar to the Me Menu in previous versions. While this is handy if the machine is used by many users, or if you have set up multiple users for different purposes, it's especially redundant if you are the only user, and it also wastes a lot of space in the panel. In dconf-editor, navigate to 'apps > indicator-session' and untick the option 'show-real-name-on-panel'. If you are not a fan of the User Menu, you can hide it completely, as also pointed out by Martinjuju in the comments.